What is a Local House Project? The National House Project is a registered Charity that provides expertise and support to local authorities to enable them to develop their own Local House Project. The development of the House Project framework was referenced in Pillars and Foundations: Next Practice in Children’s Services (March 2016) and the Care Leavers Strategy: Keep on Caring (July 2016). The Care Leaver Covenant (October 2018) sets out 5 outcomes for care leavers. The House Project supports young people to achieve all 5. The Charity was established in 2018 and provides a centre of excellence with knowledgeable skilled and experienced leaders who believe that young people can build good and positive futures with the right help and support. 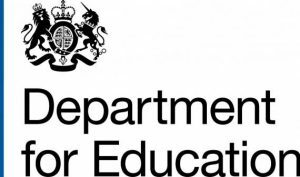 The National House Project (NHP) is funded by the Department for Education until March 2020 and will support the roll out of Local House Projects (LHP) to five local authorities as well as developing financial modelling and scalability on a national platform, across the UK. Whilst support to the five local authorities is a priority, the NHP is already in discussions with a number of local authorities across the Country about developing LHPs in their areas. Interested local authorities will be supported to setup their own House Projects via membership arrangements with the NHP. With contracted support arrangements and a suite of resources, the fidelity of the model will be assured. If you are interested in learning more about the National House Project, please click the button below to find out how to contact us.